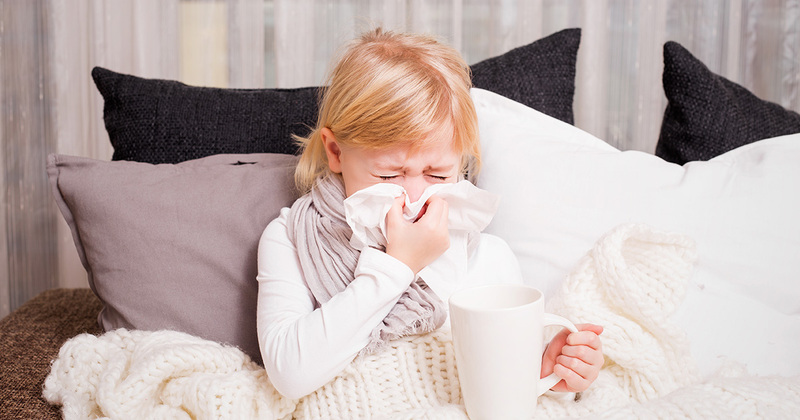 It’s that time of year again – cold and flu season. 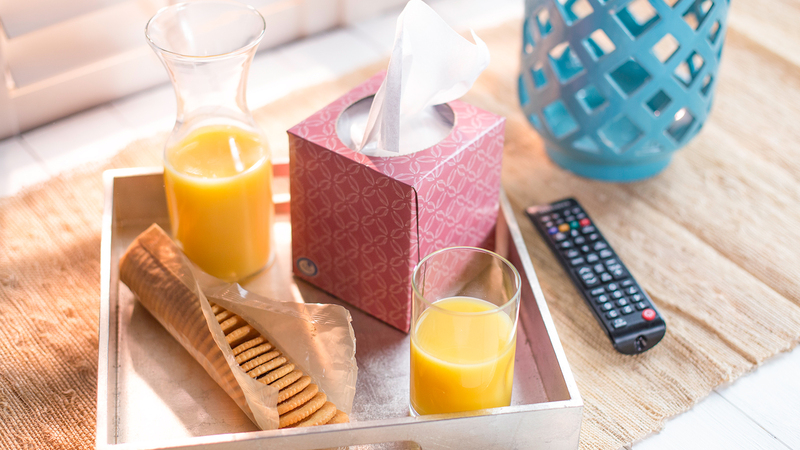 It’s also work and school season, meaning there is no time for sickness in your household. We understand, you don’t have time to get sick, but if you are sick don’t worry. There is light at the end of the tunnel! Often you don’t feel like eating when you’re ill. You may not have an appetite, nothing sounds good, or you may not think about eating when you feel miserable. Your body still needs food, especially nutrients essential for boosting your immune system. So why not try eating foods that have lots of nutrients which may help ease your symptoms? We have some immunity boosting recipes listed below to help when you are sick. Frozen Florida Orange Juice Mason Jar: Who doesn’t love something frozen (and in a Mason jar)? Especially when you have a sore throat. 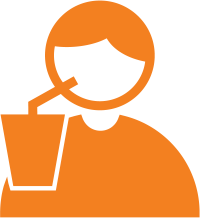 Fluid needs increase during illnesses﻿6, and frozen treats help increase liquid intake and are a great way to soothe a sore throat. 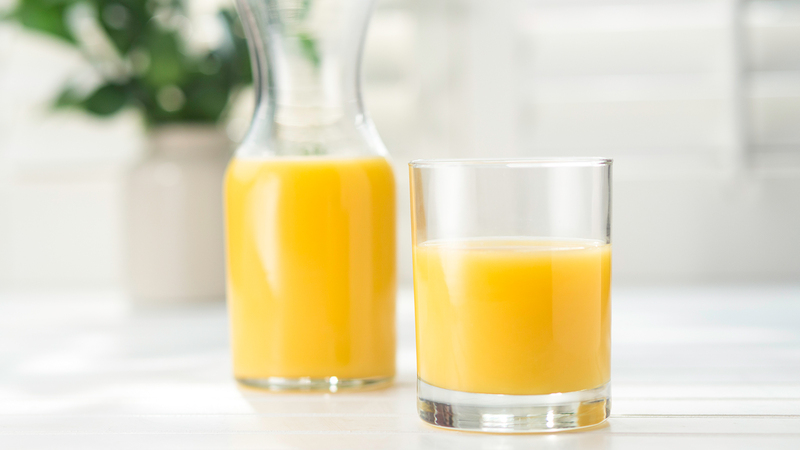 100% orange juice is perfect when you have a cold, and this recipe can help keep you hydrated while getting fluids to keep mucus thin and ease congestion. 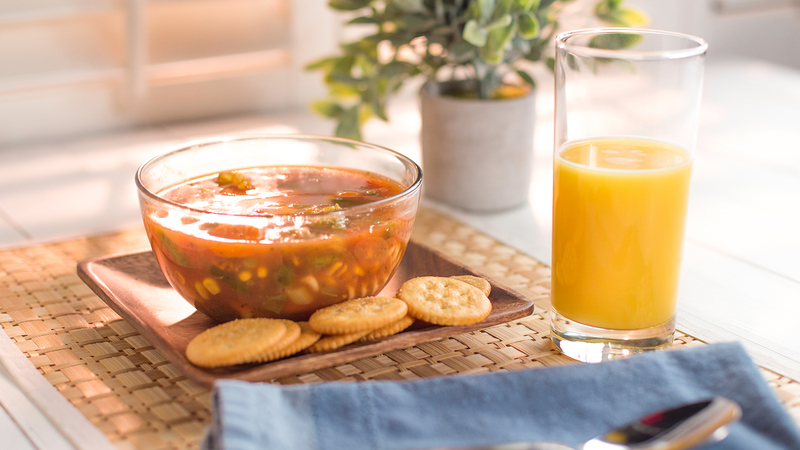 You also get the added bonus of an immune-supporting nutrient, vitamin C.
Citrus Asian-Style Chicken Noodle Soup: Providing your immune system the added benefits of vitamin C and ginger, this chicken noodle soup is both tasty and beneficial when you are sick. 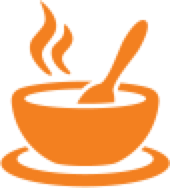 Chicken noodle soup is a warm liquid, which may help speed up the movement of mucus through your nose and may aid in relieving congestion. Orange Earl Grey Tea & Orange Spiced Green Tea: Warm tea may help to soothe a sore throat and is delicious. Plus, who doesn’t love warm tea? We do, and we’re sure you do as well. Turmeric Boost: Turmeric, what’s that? Turmeric is a spice that has been used for ages. While more research on humans is still needed to better understand the health benefits of turmeric, there is evidence that indicates it may have a role in supporting the immune system. Combine 100% orange juice with turmeric, and this can be an easy way that may help support your immune system and reduce inflammation during cold and flu season. 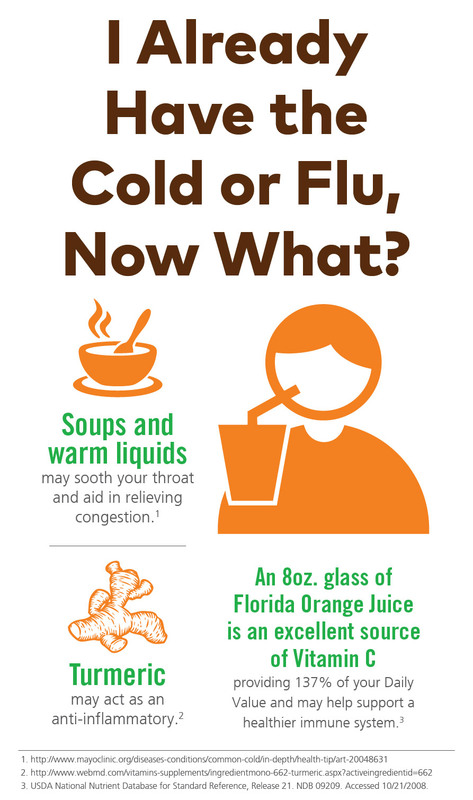 I Already Have the Cold or Flu, Now What? USDA National Nutrient Database for Standard Reference, Release 21. NDB 09209. Accessed 10/21/2008. The A.S.P.E.N. Adult Nutrition Support Core Curriculum, 2nd Ed. American Society of Parental and Enteral Nutrition. 2012.